The mountains are a special place. It’s where Green Mountain Coffee Roasters was born. It’s where we developed our adventurous spirit and commitment to improving the lands through sustainably sourced coffee. We’re driven to bring the world a richer, better cup of coffee. Be bold. Be alive. Grab a cup and get out there. An eye-opening decaf as delightful as the dawn itself. Clean and bright, with balanced sweetness, nutty flavor, and a silky mouthfeel. Made with 100% Arabica coffee. These single-serve K-Cup pods are compatible with all Keurig K-Cup Pod Single-Serve Coffee Makers. Each K-Cup pod is filled with the freshest ground coffee and brews a perfect, great tasting cup of coffee, every time. Certified Orthodox Union Kosher. 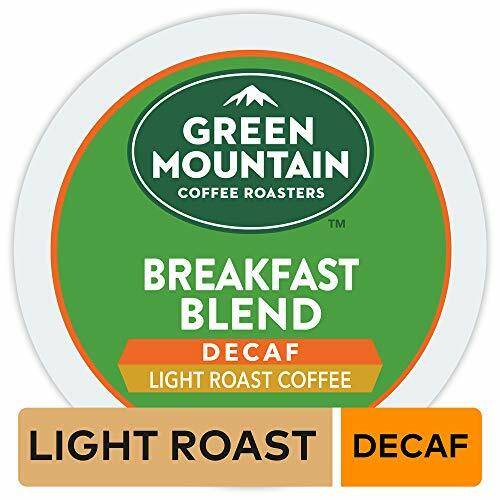 Bright, crisp, decaf blend with balanced sweetness, nutty flavor, and a clean, silky mouthfeel.